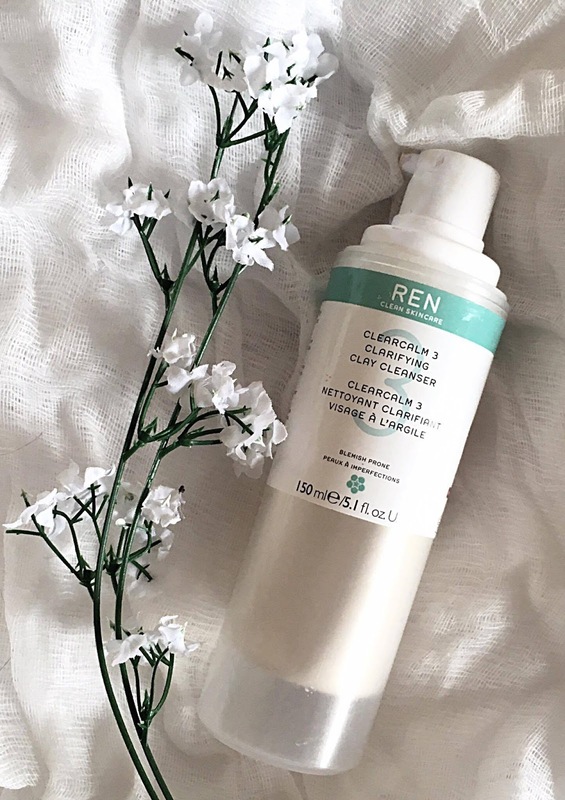 Ren clarifying clay cleanser comes complete with a pump which ensures you use every last bit of product without any fuss or mess. As with all Ren products this is a gentle formula and great for sensitive skin types. A base of clay and a boost of salicylic acid means this is especially well suited for spot prone skin types. This product has a light creamy texture and when cleansing I use only one pump and mix with a little water before massaging all over my face. When water is added it turns to a really milky consistency that offers a gentle cleanse and rinses away easily. If I use this as a treatment (something I do 2 -3 times a week) I make sure my face is clean and dry before spreading 2 pumps of the product over my face and leaving on for up to 10mins; to remove I gently buff off using a damp muslin cloth. After using this product my skin feels soothed, hydrated and balanced. Using this a couple of times a week as a mask really keeps my pores clean and kills off any spot causing bacteria which helps my skin stay clear. Lovely product, highly recommended worth every penny.